World-renowned theoretical physicist Albert Einstein was interested in explaining the theory of Relativity to people who were not especially well-versed in higher mathematic concepts and theoretical physics. 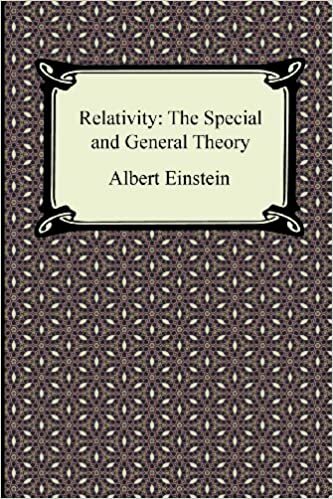 His solution to this was to write the ground-breaking work, "Relativity: The Special and General Theory." In the paper, Einstein lays out two contradictory principles: a principle of relativity and a principle of light. Einstein proposed that, rather than discarding these two principles for being conflicting, the rules of time and space should be completely revamped and rethought in order to find a way to make these two principles work in harmony. Rather than just explaining his new proposal, though, Einstein writes exactly why these rules need to be changed by explaining the inaccuracies and inadequacies located within each of the current theories. Albert Einstein is best known for his work on the theory of Relativity, gaining him the title of "Father of Modern Physics." He also received the 1921 Nobel Prize in Physics, and his work is attributed as an inspiration for the quantum theory within the field of physics. After immigrating to America following Adolf Hitler's rise to power in Germany, Einstein famously warned the government that Hitler was planning on creating a weapon based on nuclear fission, and voiced his strong opinion against the creation of the atom bomb. His hundreds of papers and books are highly original and intelligent, making him one of the most famous and respected intellectual minds of the twentieth century.